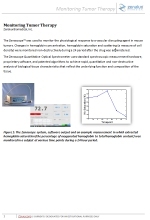 This white paper describes the Zenascope™ Quantitative Optical Spectrometer that uses standard spectroscopic measurement hardware, proprietary software, and patented algorithms to achieve rapid, quantitative, and non-destructive analysis of biological tissue characteristics that reflect the underlying function and composition of the tissue. 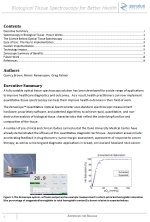 This white paper describes the use of the Zenascope™ Quantitative Optical Spectrometer to monitor the physiological response to a vascular disrupting agent in mouse tumors. Changes in hemoglobin concentration, hemoglobin saturation and scattering (a measure of cell density) were monitored non-destructively during a 24 period after the drug was administered. 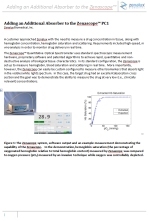 The white paper describes how to add an additional absorber to measure a drug concentration in tissue, along with hemoglobin concentration, hemoglobin saturation and scattering. Requirements included high-speed, in vivo analysis in order to monitor drug delivery in real time.